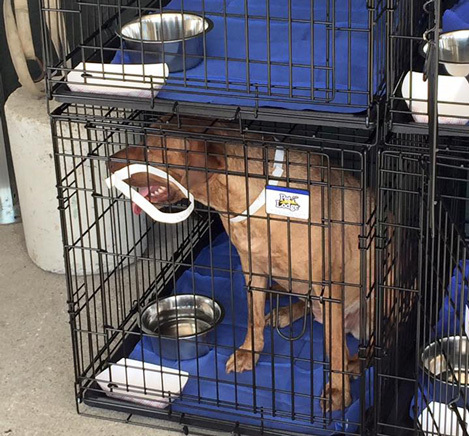 AKC Pet Disaster Relief helps communities across the country be prepared to keep people with their pets during disasters. 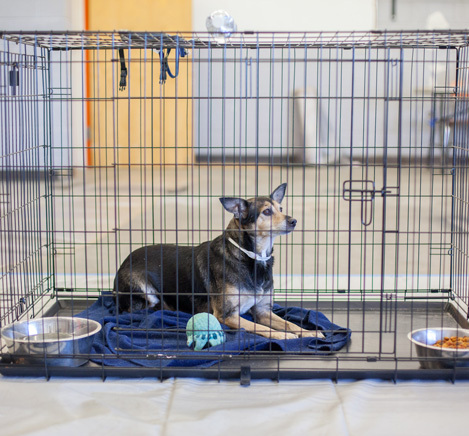 This donation program provides local Emergency Management teams the crucial supplies needed to set-up safe sheltering options for its citizens’ pets during an evacuation. 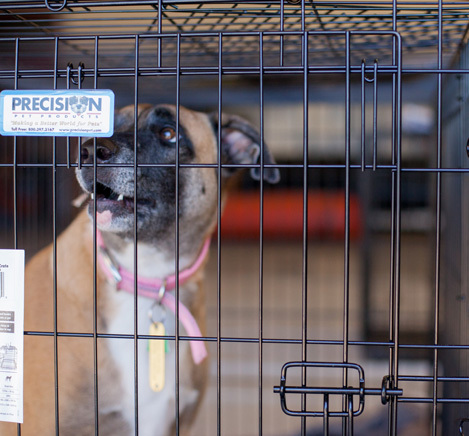 No longer do pet owners need to risk staying harm’s way. 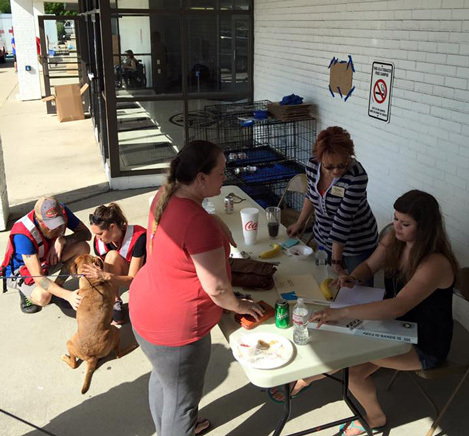 With AKC Pet Disaster Relief, people can have a safe place to go with their pet. Both of the donated Ventura County trailers were deployed to assist alongside first responders that worked relentlessly to help injured and displaced pets. 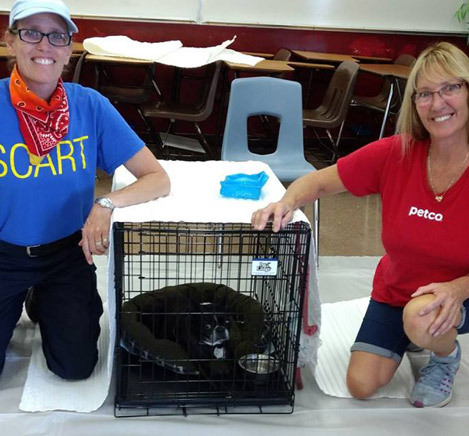 These trailers helped to support Ventura County’s efforts to assist the countless animals (dogs, cats, horses, ponies, a tortoise, chickens and more) displaced and injured. 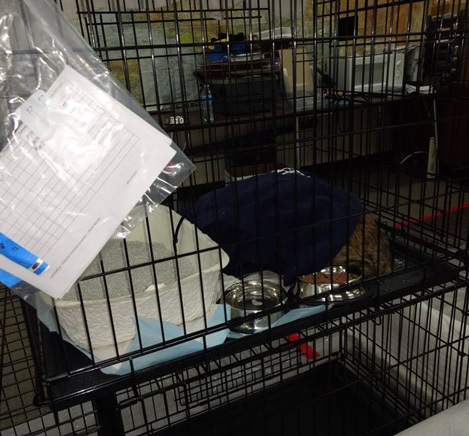 As the contents of the trailer helped provide many pets with safe shelter, the team worked relentlessly around the clock to provide the animals with food, water and necessary medical care. 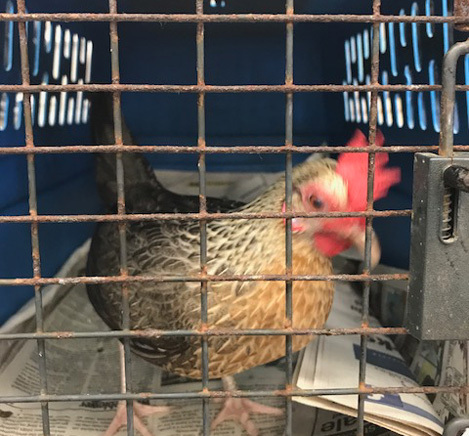 Yuba County Office of Emergency Services asked Sacramento County to travel to their county to assist with animal sheltering at evacuation sites. 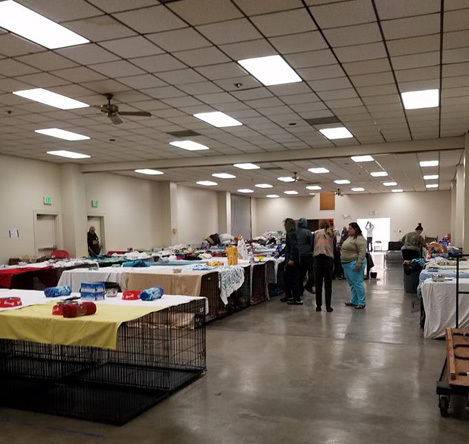 Sacramento County’s Bradshaw Animal Shelter provided assistance to pets affected by the Camp Fire at the Yuba-Sutter Fairgrounds. 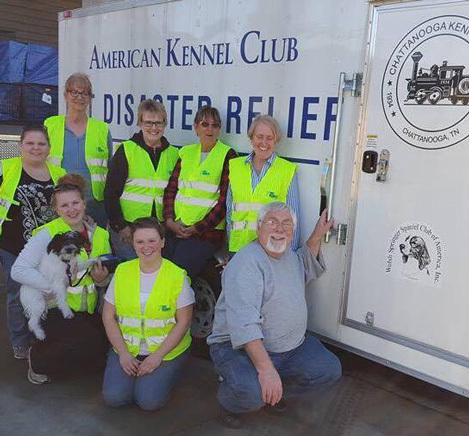 With their donated AKC Pet Disaster Relief trailer and its contents, they worked countless hours setting up and running an emergency shelter for pets that are very much in need. 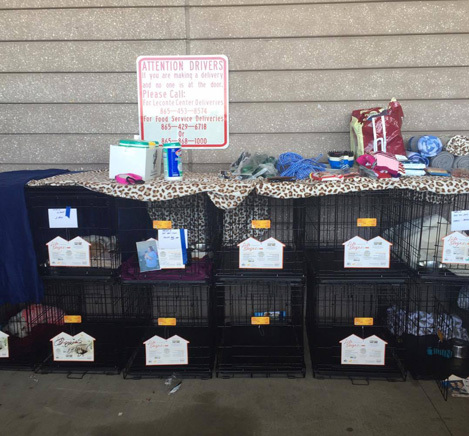 AKC Pet Disaster Relief Trailer (Tri-State CART all the way from Batavia OH!) 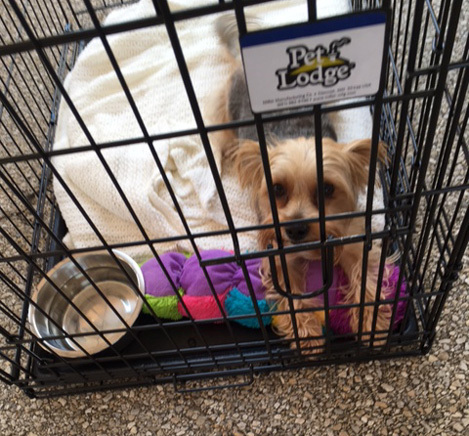 was being deployed to assist the Red Cross with emergency sheltering for pets in the Panhandle. AKC Reunite also donated $2,000 to assist with their deployment expenses and gas. 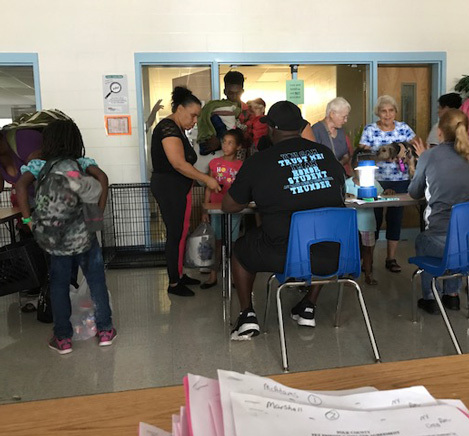 Hurricane Florence moved slowly across the Carolinas dumping many feet of rain. After the storm passed, river waters started rising and record-setting flooding ensued. 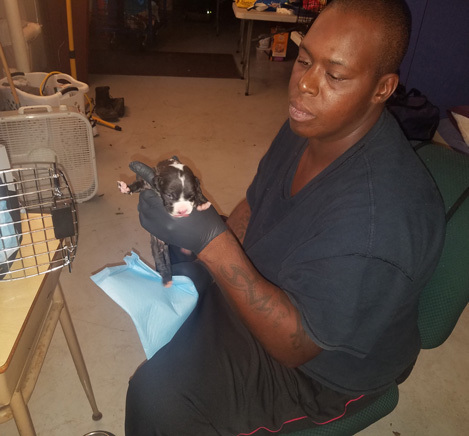 In Fayetteville, 225 pets had to be relocated for safe haven from rising flood waters threatening the welfare of the animals and staff. 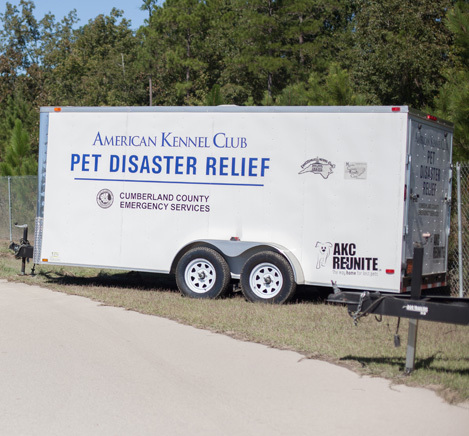 AKC Pet Disaster Relief supplies were instrumental in setting up the shelter at an undisclosed location. 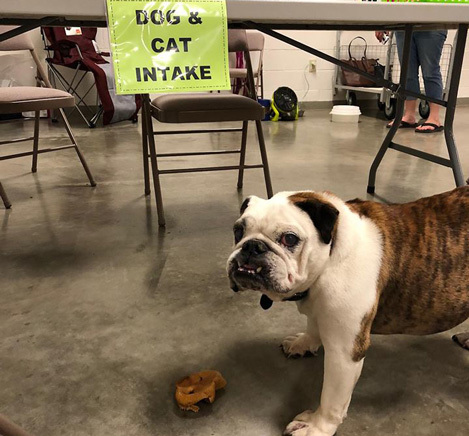 Hurricane Florence devastated eastern North Carolina and AKC Pet Disaster Relief was there to help pets and their owners as they evacuated for the storm’s high winds and flooding. 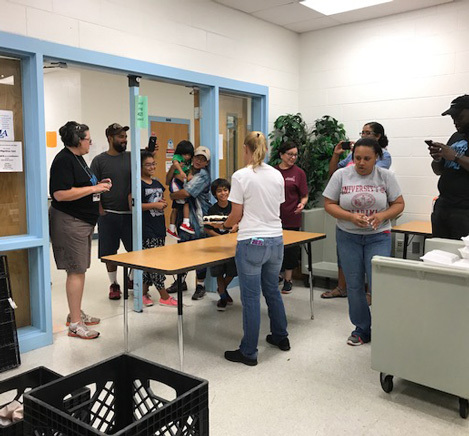 In response to flash flooding and potential breach of the College Lake Dam, Chief Ryan Ball, the Lynchburg’s Regional Animal Response Team and the American Red Cross set up a co-location shelter for evacuated people and their pets EC Glass High School. 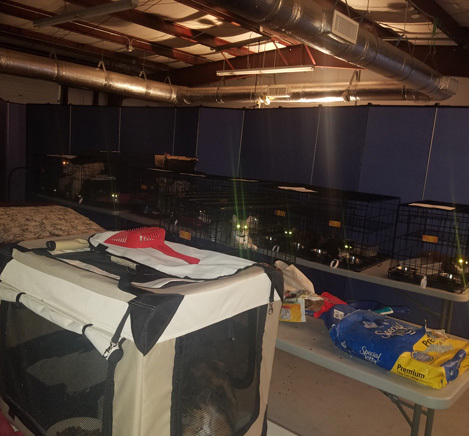 The pet sheltering accommodations were possible because of Lynchburg’s donated AKC Pet Disaster Relief trailer equipment. 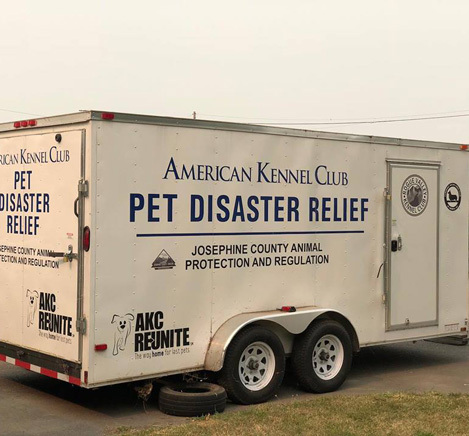 Josephine County Animal Protection and Regulation deployed its AKC Pet Disaster Relief Trailer with assistance from Shelter Friends in Josephine County. 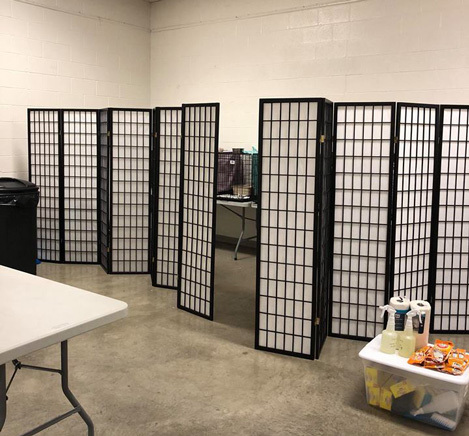 The team was available in the floral building at the Josephine County Fairgrounds to make this traumatic experience as smooth as possible for evacuees. 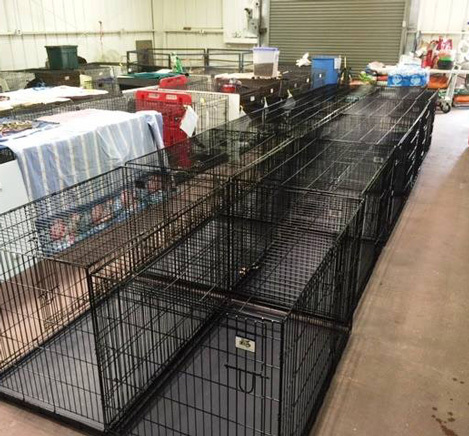 The shelter was staffed 24 hours a day, 7 days a week until there was no longer a need. 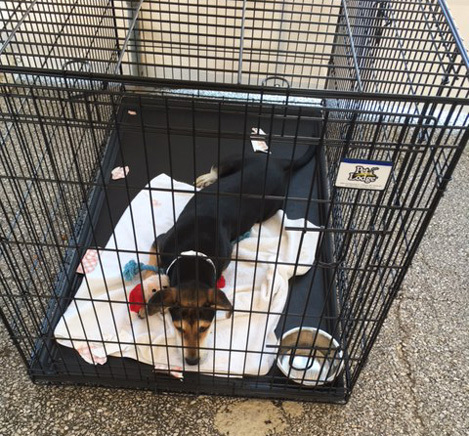 St. Louis County Office of Emergency Management deployed their AKC Pet Disaster Relief Trailer to partner with cooling stations set up to combat the high temperatures. 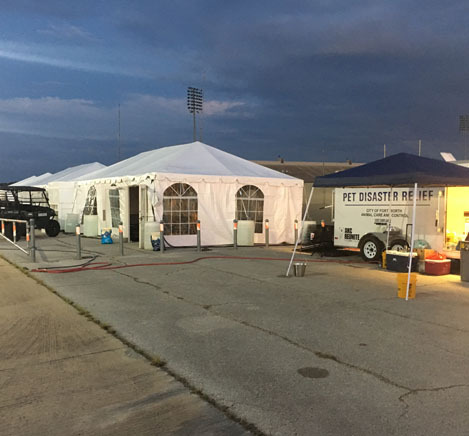 The Arrowhead Emergency Managers Association deployed their trailer in response to the Huskey Refinery Explosion. The trailer was used for an emergency shelter at the Duluth Entertainment and Convention Centers Amsoil Arena. 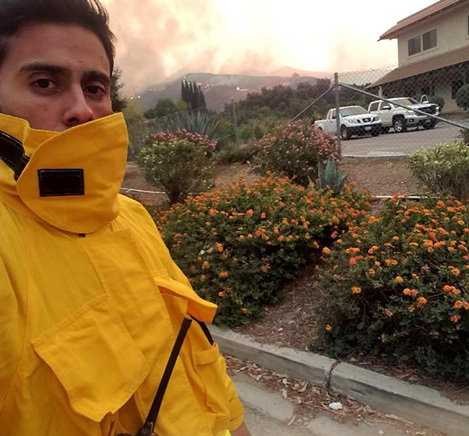 They housed 26 people and 6 pets who were evacuated out of their homes. 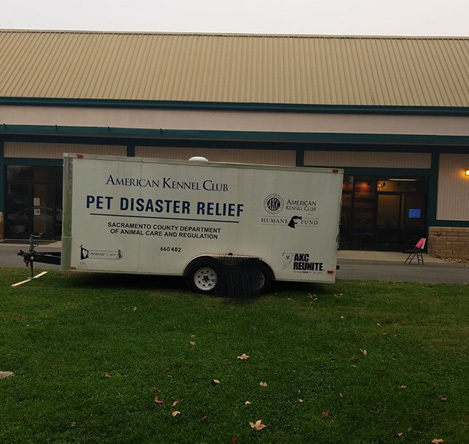 The Somerset County Animal Response Team AKC Pet Disaster Relief Trailer was deployed to Raritan Valley Community College to set up a shelter due to extended power outages from winter storms. 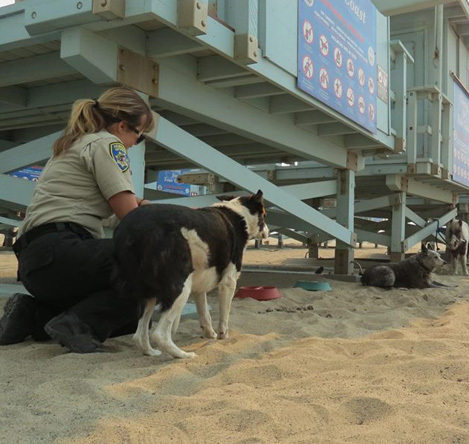 San Diego County Animal Services is coordinating animal evacuation and sheltering efforts in response to the fires. 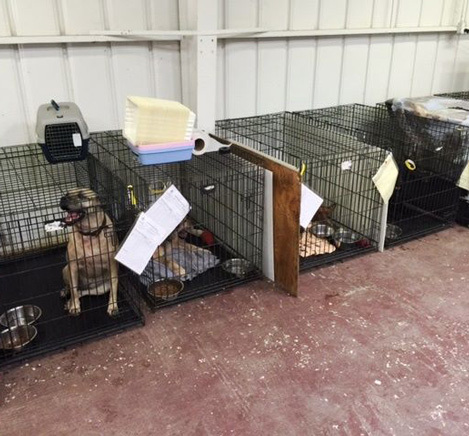 They have three AKC Pet Disaster Relief trailers staged and ready to assist. For assistance evacuating horses and livestock, call County Animal Services dispatch at 619-236-2341. 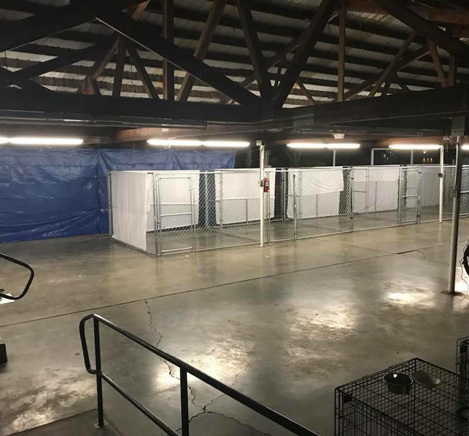 Ventura County Animal Services deployed their two AKC Pet Disaster Relief Trailers to the Ventura County Fairgrounds to assist in the California wildfire evacuations offering shelter to 120 displaced pets. 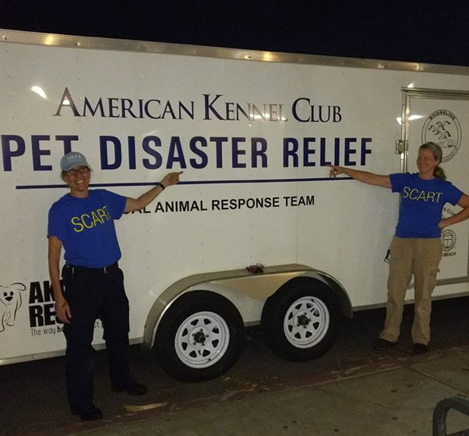 The SoCal Animal Response Team deployed their AKC Pet Disaster Relief Trailer to assist in the California wildfire evacuations. 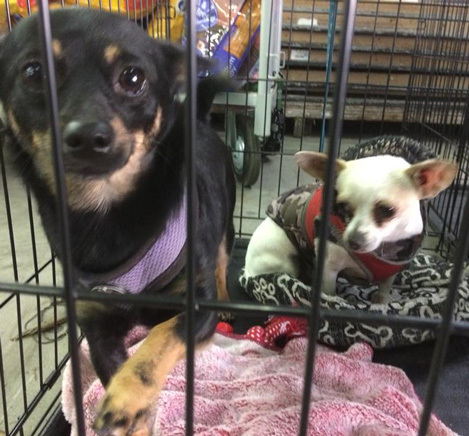 Both dogs and cats found shelter during this evacuation. 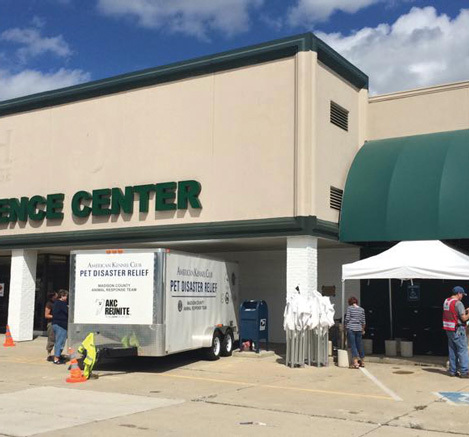 The Tri-City Animal Shelter & Adoption Center AKC Pet Disaster Relief Trailer was deployed to help the Texans affected by Hurricane Harvey. 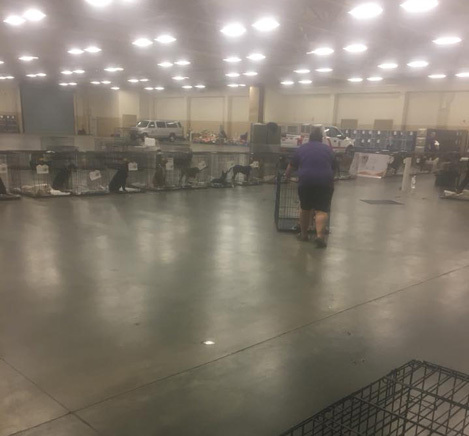 They deployed to Kay Bailey Hutchison Convention Center then moved on to assist more displaced animals in the Port Arthur, TX flooding aftermath. 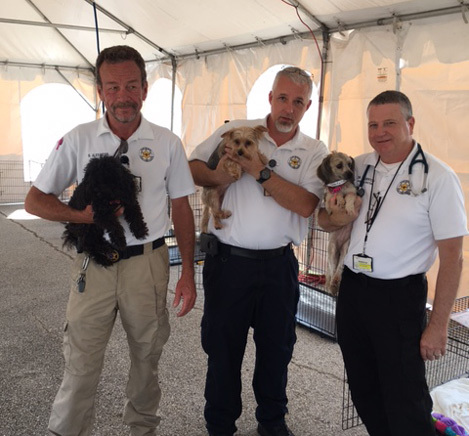 The City of Fort Worth Animal Care and Control deployed their AKC Pet Disaster Relief Trailer to the Fort Worth Wilkerson Facility Emergency Shelter to help the Hurricane Harvey evacuees care for their pets. 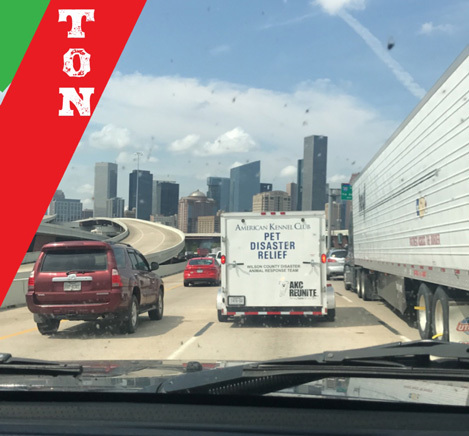 The Wilson County Animal Response Team traveled to Rockport, TX with their AKC Pet Disaster Relief Trailer to assist with the Hurricane Harvey sheltering. 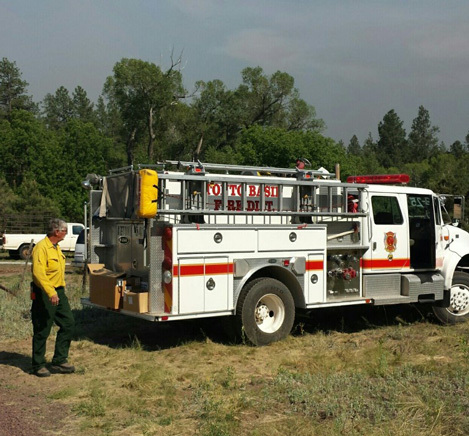 They were deployed through a direct request by the Emergency Management Agency (FEMA). 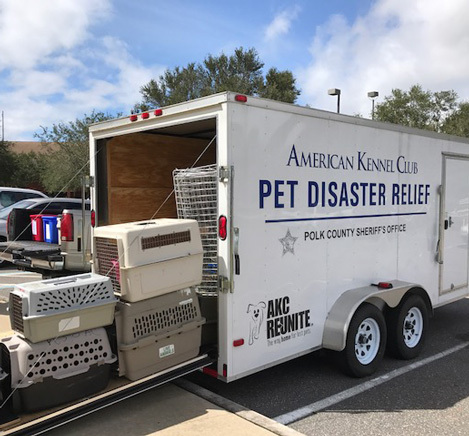 The Polk County Sheriff’s Office deployed their AKC Pet Disaster Relief Trailer to assist with the Hurricane Irma evacuations. 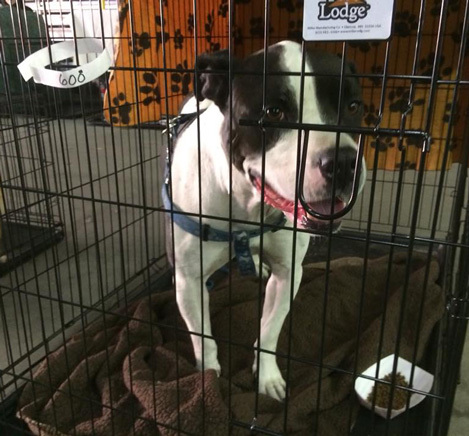 They utilized the trailer at two of the off-site public shelters that were pet-friendly. 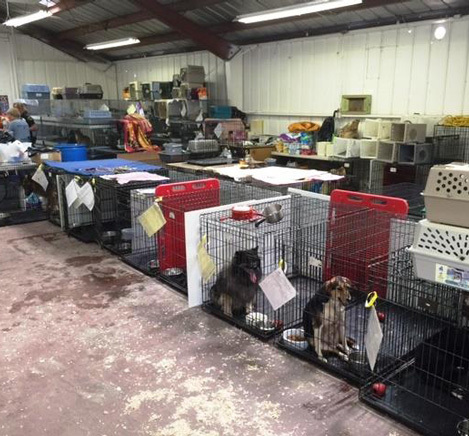 619 animals were helped between the two shelters. 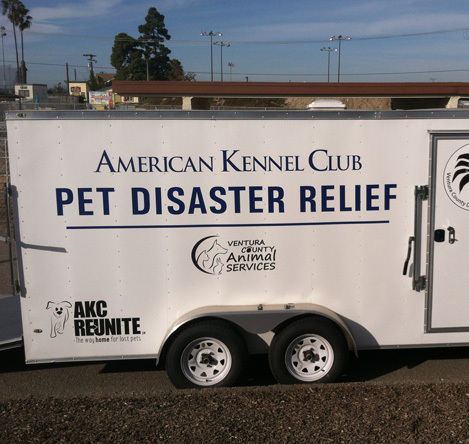 The County of San Diego Department of Animal Services deployed their AKC Pet Disaster Relief Trailer to assist flood victims in February 2017. 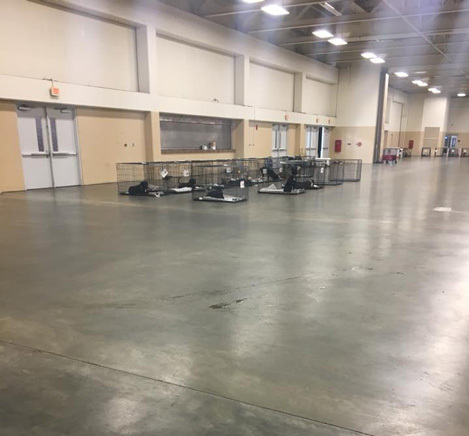 The Wilson County Animal Response Team AKC Pet Disaster Relief Trailer was deployed to the Rocky Top Sportsplex to assist the Hamilton County Disaster Animal Response Team with their relief efforts due to the Gatlinburg, TN Fire evacuations. 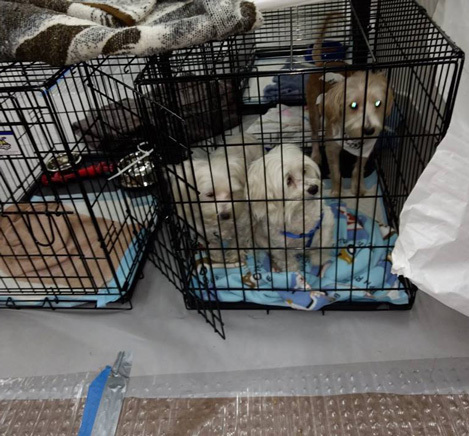 The Cleveland-Bradley County Emergency Management AKC Pet Disaster Relief Trailer was deployed to assist Eastern Tennessee with animal sheltering after the Gatlinburg, TN Fires. 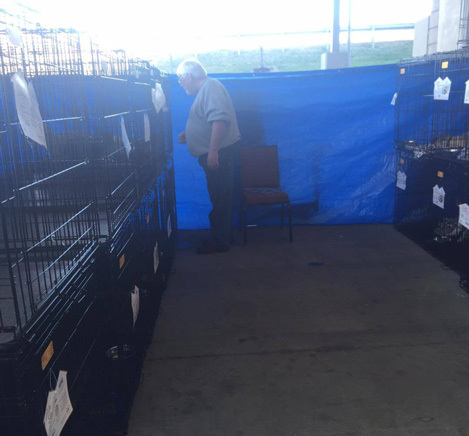 Dozens of pets, plus eagles and hawks from Dollywood sought sanctuary at the site with the supplies from the trailer. 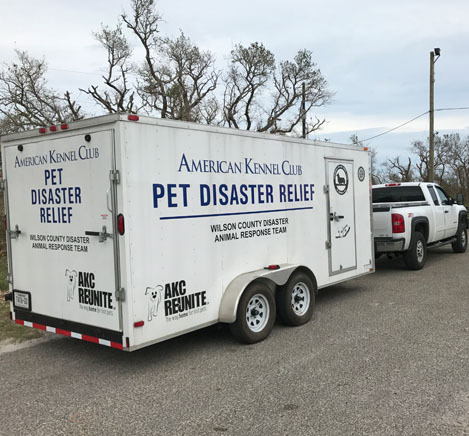 The Pamlico County Emergency Management AKC Pet Disaster Relief Trailer was deployed to assist the Hurricane Matthew Evacuations. 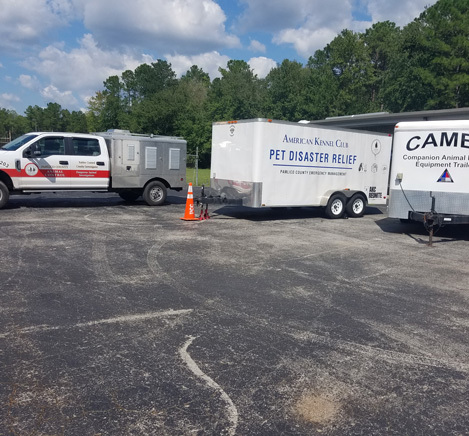 The Cumberland County Emergency Services AKC Pet Disaster Relief Trailer deployed to Southview High School as well as Smith Recreation Center to assist the residents and pets of Cumberland County due to Hurricane Matthew Evacuations. 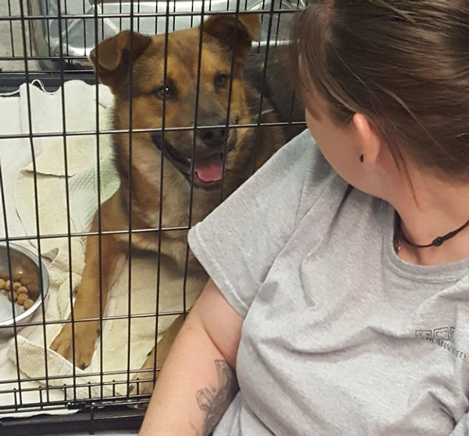 The Greenville County Animal Care gave 44 crates from their AKC Pet Disaster Relief Trailer to their neighboring county of Spartanburg, SC to assist them with their pet sheltering due to Hurricane Matthew. 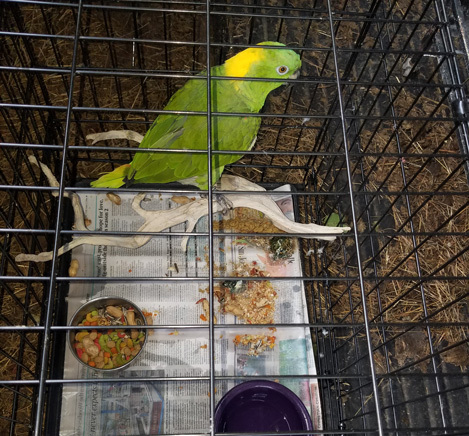 The Polk County Sheriff’s Office used crates from their AKC Pet Disaster Relief Trailer to assist 113 people, dozens of dogs and cats and even a 2-foot lizard during Hurricane Matthew Flooding. 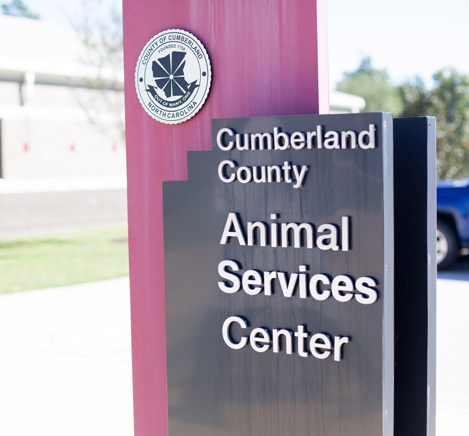 Due to the flooding in Cumberland County, the Cumberland County Emergency Services AKC Pet Disaster Relief Trailer was set up at the Spring Lake Recreation Center to assist flood victims and their pets. 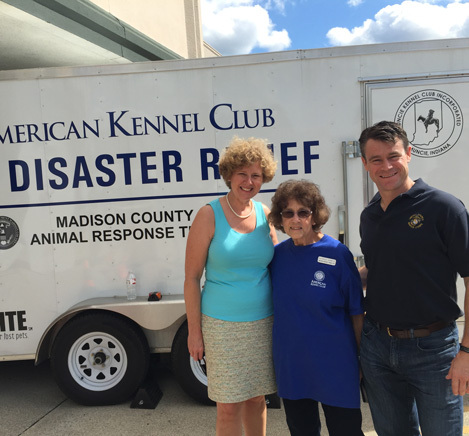 The Madison County Animal Response Team AKC Pet Disaster Relief Trailer deployed to set up a pet shelter beside the Red Cross at the Kokomo Event & Conference Center in response to the August 2016 Tornadoes. 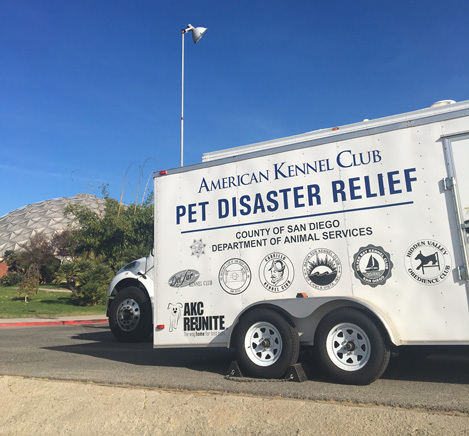 The County of San Diego Department of Animal Services AKC Pet Disaster Relief Trailer was deployed in response to the Border Fire in July 2016. 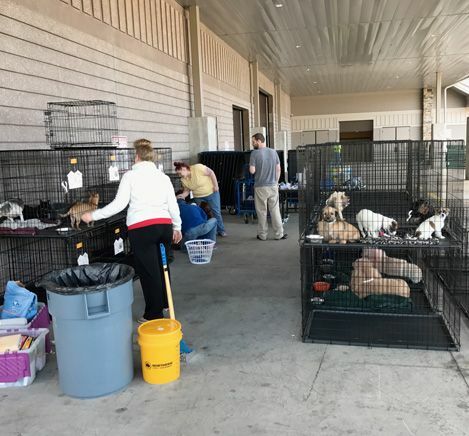 They evacuated 145 animals, fed and watered over 600 animals that were sheltered in place, delivered supplies to a local in the community who served as a donation site for residents that didn’t evacuate, and provided supplies to the Red Cross evacuation centers for people with animals. 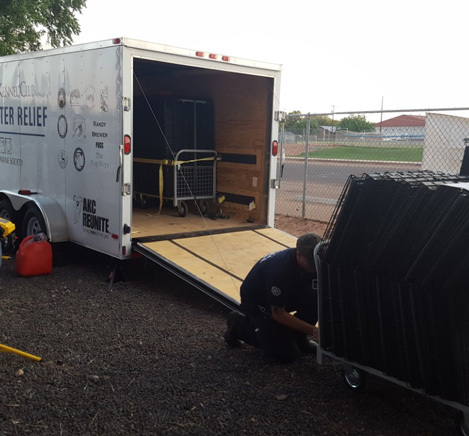 The Arizona Humane Society deployed their AKC Pet Disaster Relief Trailer to the Holbrook High School to assist in the Tenderfoot Fire Evacuations. 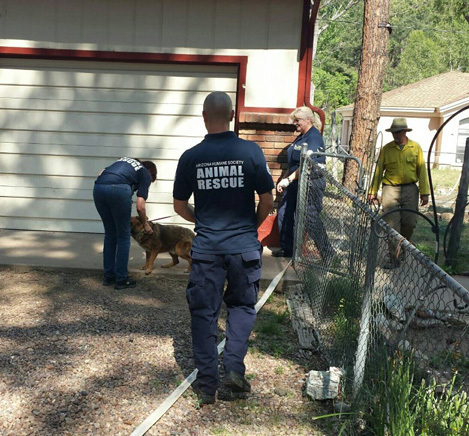 In addition to sheltering pets, they helped reunite four pets that were displaced from their owners during the blaze. 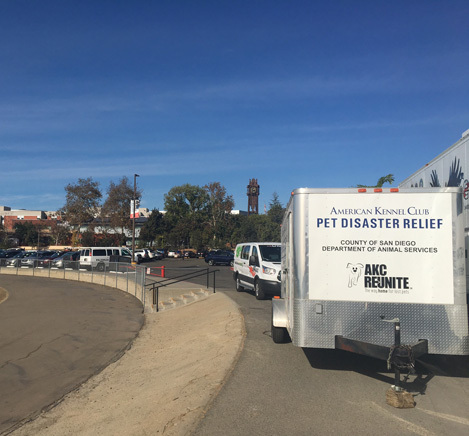 The Sacramento County Bradshaw Animal Shelter AKC Pet Disaster Relief Trailer was deployed to assist Amador County Officials with evacuations due to California Wildfires. 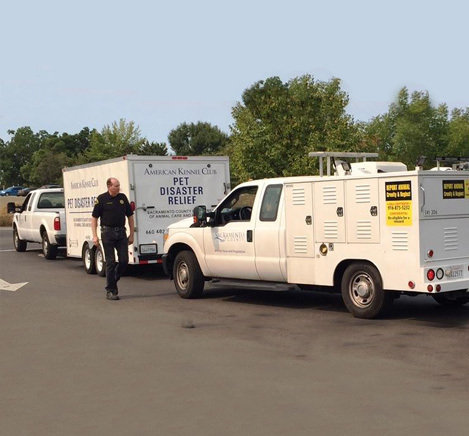 The Cecil County Department of Emergency Services AKC Pet Disaster Relief Trailer was deployed to assist in evacuations of a senior housing apartment building fire.